Nothing is more American than a truck. Trucks transport our goods and our people, are used every day in the work that we do, and make for great recreational fun. 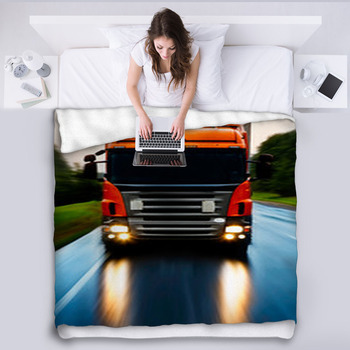 Pay respect to these automotive machines with our truck blankets that bring the feeling, sound, and power of our trucks right into your bedroom or living room. 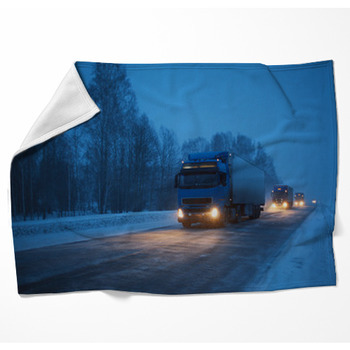 From the power of the long haul eighteen wheeler to the friendly dependability of the tractor and work truck, all can be found on our collection of fleece blankets and throw blankets. The men who dedicate their lives to hard work know that a truck is like family. 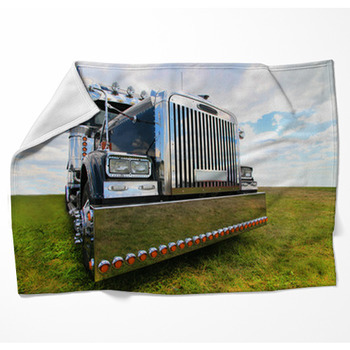 Treat your truck with the respect it deserves by displaying inside your home on our woven blankets. 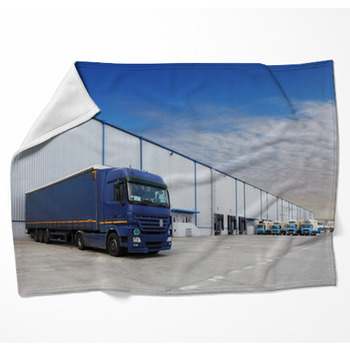 Our fleece blankets can portray any number of different trucks, find one that matches your own or fantasize about your dream vehicle. 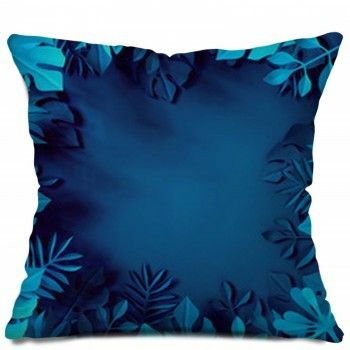 If you're a Chevy fan, we have throw blankets with a fully upgraded brand new Chevy truck in sleek jet black. 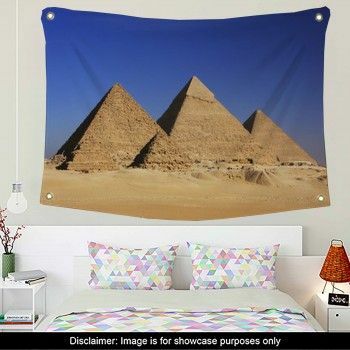 If you love a Ford, try our throw blankets with old school cherry Fords as well. 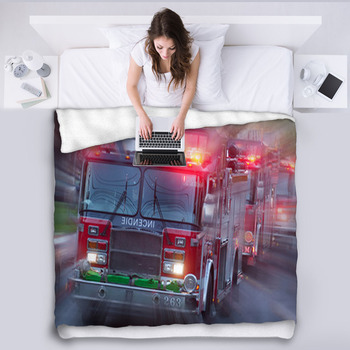 Display your pride in your occupation by laying a polished red fire truck woven blanket on your bed or take a freight trucker fleece blanket with you when you're on a long trip and feel like the king of the road. 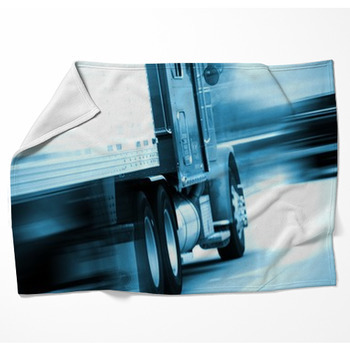 We also have a large collection of fleece blankets with tractors like backhoes and excavators. 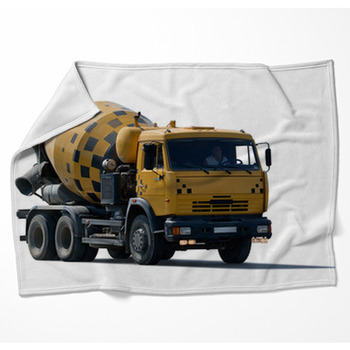 Little boys are often fascinated by big and powerful trucks. 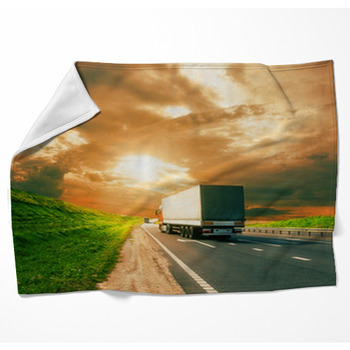 Give them a tractor theme woven blanket for their bed with truck theme pillows and they will sure to be delighted. 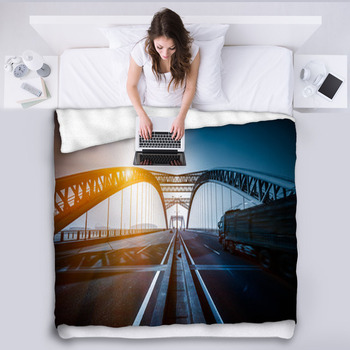 You can even decorate their unique room with truck window curtains and truck rugs to make a spectacular personalized space. 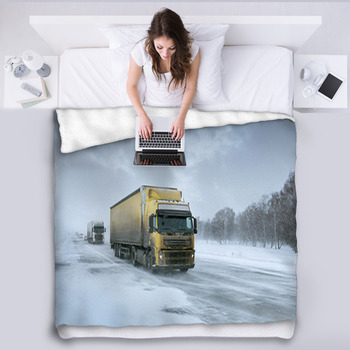 Getting your children interested in trucks and machines brings a fun an educational drive into their lives and we truly wouldn't lead the lives we do if it weren't for our trucks.